Like most city centre churches, the Cathedral is a gathered congregation and incredibly diverse. Made up of all ages, it is truly international due to its proximity to the city’s two universities. There is a small but active Young Church which meets during the main Sunday Eucharist and an active adult congregation involved in many aspects of the life of the city as well as a project in Swaziland. 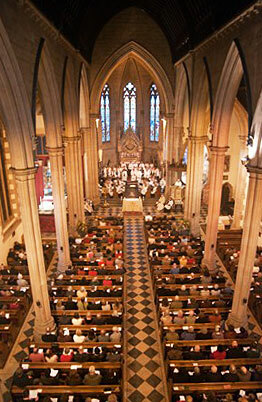 The Cathedral is known for its liberal and inclusive ethos reflected in its congregation and also in its liturgy and music. Concern for peace and justice, care for the environment and for the marginalised of society are at the heart of the Cathedral community. The Cathedral’s liturgy and music continue to draw people to St Paul’s. The standard of music is excellent and most visitors to the Cathedral comment on the warmth of the welcome they receive. The Cathedral provides a place of tranquillity in the midst of a busy city and many casual visitors and ‘regulars’ feel a sense of peace after spending time here. The Cathedral also has a very strong sense of community and the sense of pastoral care among the congregation is very strong. 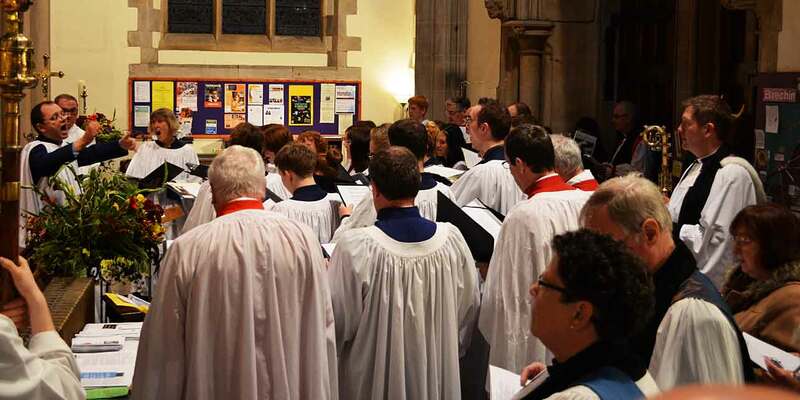 A lively sung communion service with the Cathedral choir. Young Church activities and refreshments afterwards. Service of Evening Prayer with prayers for healing, anointing and laying on of hands. We are a Fairtrade and Eco-congregation.